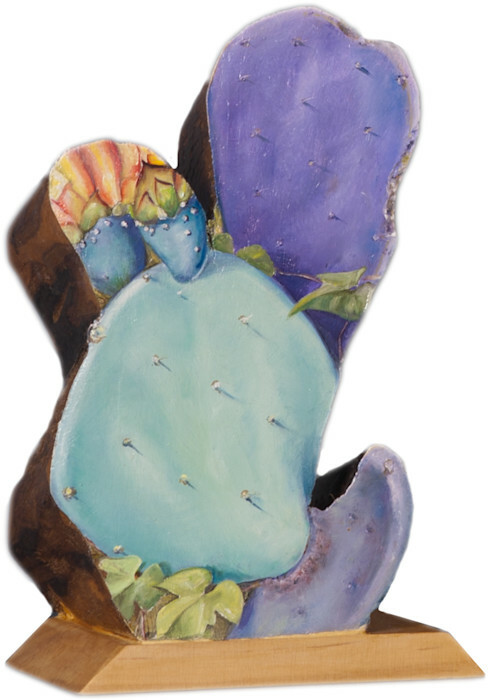 Brightly colored cactus painted on a flat section of a cypress stump—the “fingers” of the wood became reborn as cactus. The sides of the wood are about 4” deep and have been stripped of bark and coated with multiple stains and varnishes. The painted surface is protected by several coats of archival gloss varnish. This piece can hang or free stand on it’s base as a sculpture.